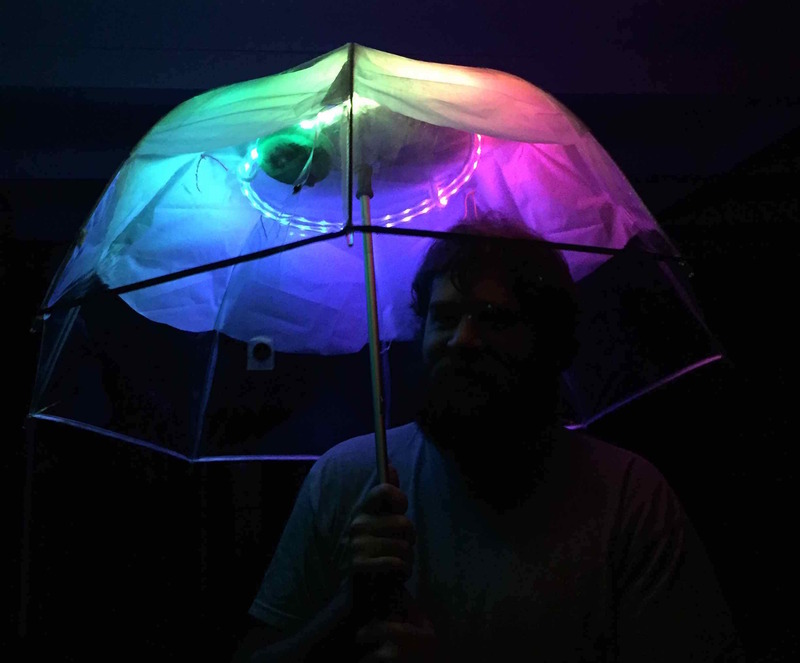 This outlines a project that which incorporated a LED strip into a clear umbrella. 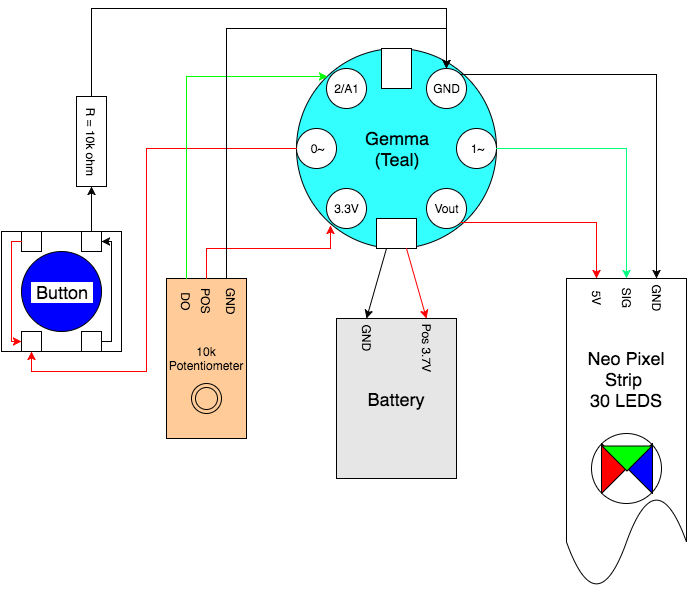 The main components of the project were Adafruits NeoPixels and a Gemma Microcontroller. The program has 5 modes which is changed by a button interrupt and potentiometer which contols the speed of the lights. This project was sinspired by Adafruits tutorial projects: FLORAumbrella an Gemma powered Sound Reactive Drums. This code was modified from the Adafruits Test LED strip code. The sub functions rainbow and rainbow cycle were from the example code. The first three subs fuctions are origional ideas. // The colours are a transition r=0 - g=85 - b=170 - back to r.